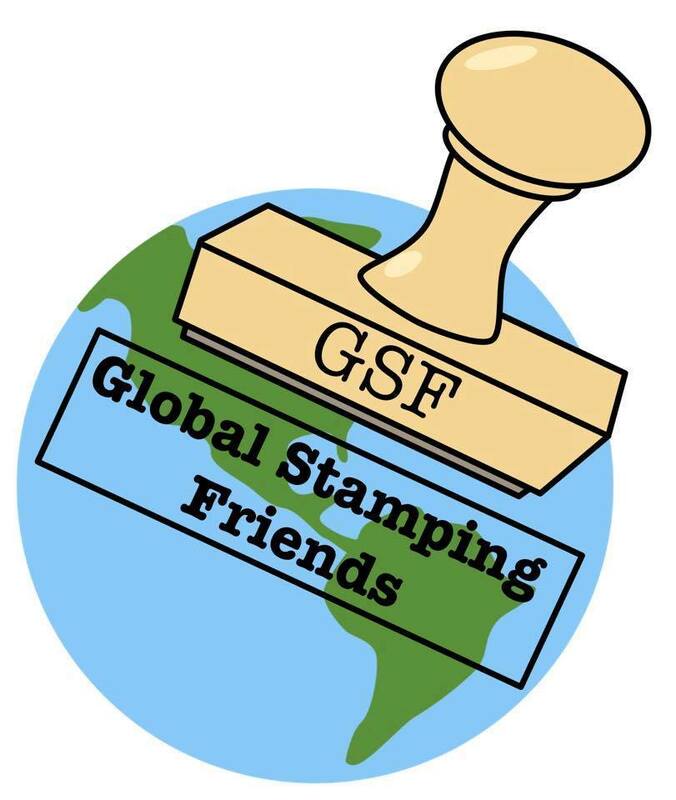 procrastistamper: Global Stamping Friends Blog Hop - Kids! 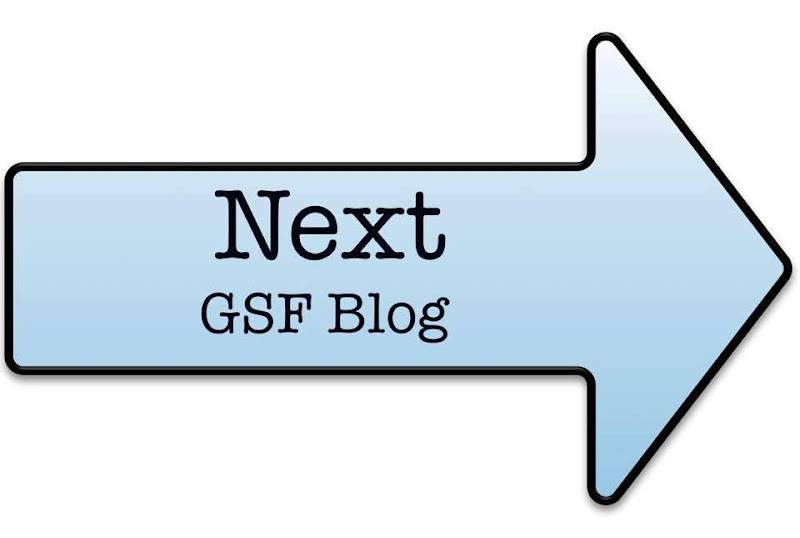 Global Stamping Friends Blog Hop - Kids! 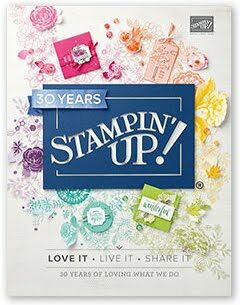 My project features an "older" stamp set called Marquee Messages, with "older" meaning it's not new to the 2017-18 Annual Stampin' Up! Catalog that debuted in June. However, I did use some Glossy White Card Stock that is "new" to that catalog, although it's a product that is returning after several years of being discontinued. The card has a 1/4" spine to allow for the bulk of the candy inside. I bought the candy packet first, and then used the packet colors for the card. The candy is just stuck inside the card with a couple of Mini Glue Dots. 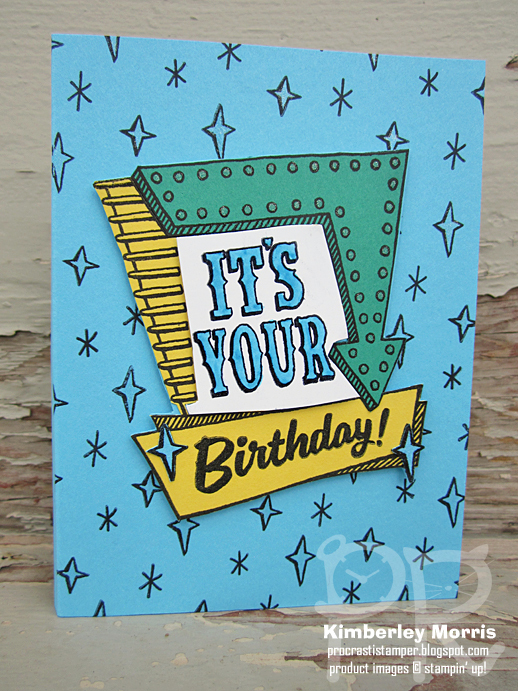 Stampin' Supplies: Marquee Messages stamp set, Basic Black Archival ink pad, Glossy White card stock, Tempting Turquoise card stock & marker, Emerald Envy card stock, Daffodil Delight card stock, Clear Wink of Stella, Tombow Multipurpose Adhesive, Stampin' Dimensionals, Mini Glue Dots. Paper Snips for that fussy cutting! Click the Next arrow below to see Vicky's kid-themed creations! 14 Kimberley Anne Morris YOU ARE HERE! What a fun project! Your colours match so perfectly to the Pop Rocks! I used an "old" set too! It's good to look back and reinvent things! Very Clever. A gift card. I LOVE this stamp set. I haven't seen anyone else use it. Thanks! Susan Vilar #17 on the hop. 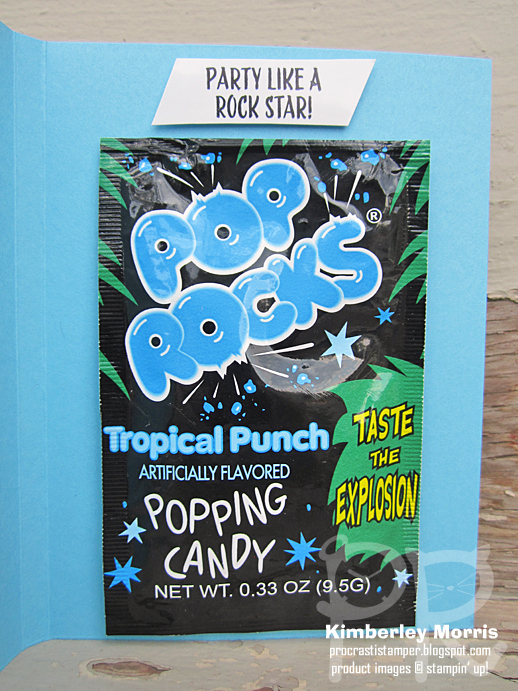 Pop rocks! That brings back memories! Such a cool card that definitely rocks! Great card, especially for as the kids get older! Thank you for joining in. Omg such an awesome card! Adding the candy is such a great idea i am candy crazy and pop rocks are one of my fav will def be doing this for my kids next cards. My kids would LOVE this! Awesome job! Your card is tops - I would love this myself I looove popping candy!